Mobile and digital media usage has increased tremendously over the last few years. Modern businesses are striving to enhance their digital presence, while e-media channels are developing a more personalized experience for their clients. These efforts result in the optimum engagement that ultimately drives growth. These channels, based on location and target audience, need to focus on creating an experience that addresses consumers’ needs and desires. Advancements like AI dictate that businesses need to focus on being transparent in order to have an effective omni-channel presence. 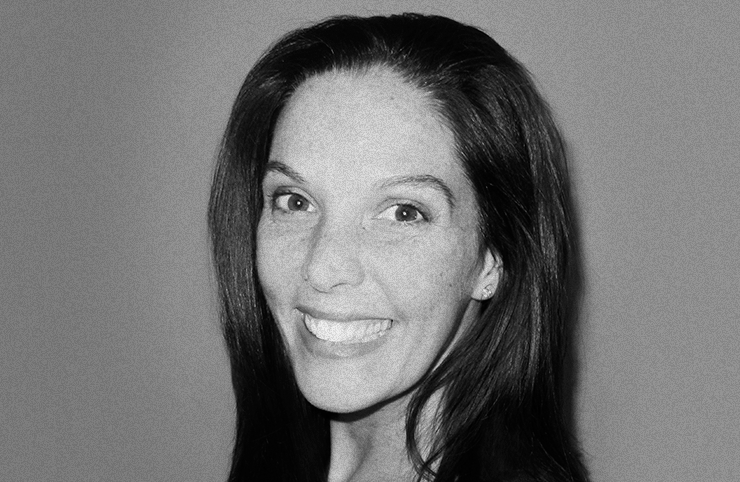 Amy Romero, the Chief Marketing Officer of CreativeDrive is working past the confines of a traditional media experience to a holistic one, thus helping clients create a spherical journey focused on their multifaceted demands from their consumers. Since she entered her field, Amy has observed numerous developments and transformations in content and marketing. From starting her college days using a typewriter to graduating with a floppy disk, Amy has witnessed a tremendous revolution of content from being controlled by brands to controlled by consumers. Furthermore, she began her professional career in “old-fashioned” television broadcast production and worked on events with Wynton Marsalis and Jazz at Lincoln Center, migrating to large ad agencies at the height of broadband, and then becoming a digital pioneer, building the digital division at Ketchum PR. During her early career days, Amy admittedly lacked the ability to predict change, but with an intense effort she developed a keen ability to capitalize and predict on emerging trends. Today, Amy is continuously refining her skills on a daily basis and is still learning. Moreover, learning from her experience, the hardworking CMO of CreativeDrive is easily tackling and responding to any challenge coming her way. Amy recalls when television commercials and the massive audience they captured were replaced by websites which became the beginning of the shift from outbound to inbound marketing. Beholding these changes, Amy asserts that one should make a choice to jump on the treadmill and learn at the speed of change or run the risk of becoming irrelevant. The highly creative and experienced Amy is proud to utilize her extraordinary skills and lessons to drive the growth of CreativeDrive. For Amy, developing CreativeDrive was a challenging, yet exhilarating labor of love. She is also proud of the people she has met, learned from, and remains connected to, throughout her journey. Her network of inspiring people is what keeps her going and inventing resourceful strategies for CreativeDrive. Amy has implemented a new and innovative model for CreativeDrive to deliver unprecedented amounts of content cost-effectively at a faster pace, while maintaining its high quality. With her team of dedicated content creators, an equally as dedicated Amy has built this model using CreativeDrive’s proprietary platform around the world. She knows that technology and data are needed to stay connected and relevant, while also upgrading solutions from time to time to create refined assets. In June 2018, CreativeDrive launched a new computer-generated imagery (CGI) retail solution called CORA, bringing the virtual shopping experience to life by providing photographic quality reproductions of products at speed and scale. CORA delivers the most advanced CGI, augmented reality (AR), and machine learning (ML) technologies for content creation for any brand with an online merchandising presence. Further, CORA offers the reduction of production costs up to 50% and an increased speed to market by as much as 30%. The CORA launch received 1.5 million media impressions and increased CreativeDrive’s revenue by 200%. At CreativeDrive, Amy is involved in strategy, growth, communications, and building awareness of its new model. Within a short span of one year, the dynamic CMO has transformed a US-centric business to the global stage as a disrupter brand challenging the status quo, while being front and center with blue-chip global client relationships. Amy has enjoyed building CreativeDrive from the inside out because her faith and willingness to reinvest energy and resources into her staff is another defining hallmark of CreativeDrive. From the outside in, Amy and her team observed the market trends and the need for a content partner for brands. Today, CreativeDrive has become a brand with global practice divisions including strategy, creative, e-commerce, sound, CGI & motion, technology & innovation, and events & culture. While working at CreativeDrive, Amy enjoys using her production skills that she learned at the start of her career and taking the camera behind-the-scenes to humanize each employee, creator, engineer, and their work. Moreover, Amy receives a lot of appreciation for her dedicated contributions to the world of marketing. These encouragements make her feel proud and energetic at every stage of work. According to Amy, LinkedIn and Instagram have proven to be the most effective and trusted media platforms for CreativeDrive. While using LinkedIn, she utilizes the professional networking platform to cultivate CreativeDrive’s leaders, while enabling them to inspire their employees. Furthermore, the enthusiastic CMO of CreativeDrive prefers Instagram for audience interested in visual content. Amy knows that it’s the best platform to form personal connections with her employees, customers, and suppliers. On Instagram, Amy and her team share pictures of creators, work, and cultures across the world. Inspired by the creativity of its dynamic CMO and 1,300 creators, makers, and doers, CreativeDrive’s visual feed not only reflects its brand uniqueness, but also focuses on its borderless, global, and boutique approach. Following her creativity, Amy has created an extraordinary model for CreativeDrive to collaborate with every specialist and partner with clients to serve them at the local level with the power and speed of global operation.